ADMA has itself a new chief, with former Jurlique global chief brand officer, Andrea Martens, stepping in as CEO of both the data-driven marketing association and its sister group, the Digital + Technology Collective. The Australian Alliance for Data Leadership (AADL), which sits across both associations as well as IAPA and Data Governance Australia (DGA), confirmed Marten’s role today as one of three appointments to its executive team. Also joining are Richard Bean, former acting chairman of the Australian Communications and Media Authority (ACMA) as chair of DGA, along with Anthony Hollis, most recently the VP of Australasia for distracted driving solutions company, Katasi, who steps in as DGA’s managing director. Martens has spent the past two-and-a-half years overseeing a brand and marketing transformation at Jurlique, an Australian-based skin and beauty products producer. It was work that saw her recognised in the CMO50 of most innovative and effective marketers in 2017. She boasts of more than 25 years’ experience of marketing, largely built up through her various roles at Unilever. Prior to joining Jurlique, Martens was general manager and CMO of Unilever’s Home and Personal Care division for A/NZ, overseeing brands such as Dove, Lux, Rexona, Sunsilk, Lynx and Vaseline. Martens replaces the very short-lived Ben Sharp, who resigned from the ADMA CEO’s role after just two weeks, and former long-standing CEO, Jodie Sangster, at the ADMA helm. She takes over the Digital + Technology Collective reins from Mandy Eyles, who has resigned from the association after a four-and-a-half stint within the group. 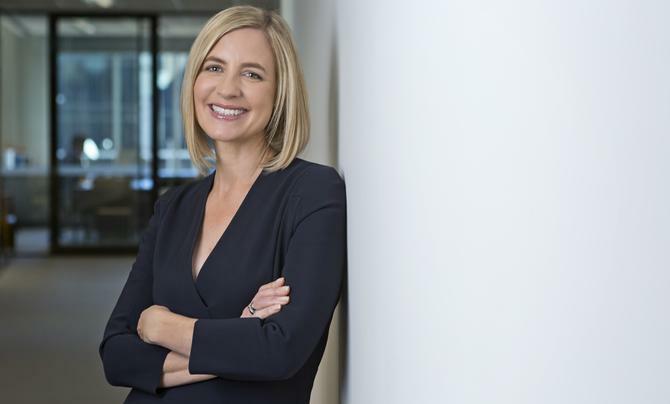 In a statement to CMO, Martens said she was looking forward to the opportunity to bring her wide-ranging experience of what it takes to survive and thrive as a modern marketing leader to ADMA. “The current business landscape is demanding CMOs and their functions shift from being communication architects to engineers of growth. Marketeers need to become more data-centric, performance oriented and transformation focused if they are to truly delivery business and organisational transformation,” she said. Commenting on the new executive appointments, AADL CEO, Steven Porges, said it was vital the group brought on senior and experienced people from within the industry. Porges himself is a new face to the team and was appointed group CEO in June. AADL was created 12 months ago as the umbrella organisation overseeing four distinct yet complementary associations. Its formation came nearly three years after ADMA took its first steps into expanding its reach, striking a partnership with IAPA. This was followed by its acquisition of the assets of the Australian Interactive Media Industry Association from administrators in February 2016. AIMIA was rebranded to the Digital + Technology Collective in July 2017. “As the role of data within industry and indeed, society, continues to mature, so the position of each of these teams has elevated to guide mainstream business and societal issues,” Porges said. “Consequently, we have needed the right seasoned and thoughtful leaders to own and drive this opportunity. Bean joins as chair of DGA after having served as deputy and acting chairman of the ACMA. He has more than 30 years’ experience in business, law, regulation and governance and was general counsel and company secretary at Unwired Australia. Most recently, he co-led an efficiency review across the ABC and SBS. Hollis, meanwhile, brings more than 40 years’ global experience as a senior executive across a broad range of diverse and challenging roles including business strategy, managing high-performance teams, running businesses, sales, innovation, fund raising and advisory. Among these are roles at Time Warner, Australia-Israel Chamber of Commerce, Canwest, Kronos, as well as investment banking and startups. In an email to members, AADL chair, Steve Brennen, said he was pleased with the results of its detailed search to find the right calibre of leaders to take up ownership of its respective associations. “A broad level of data utilisation is undeniably pivotal to future business success, but it’s the unique combination of analysis, management and governance that is most valuable. With more than 500 member organisations, AADL and its Associations are committed to leading the conversation on the data-enabled future and these appointments represent the next evolution in our journey,” Brennen said.